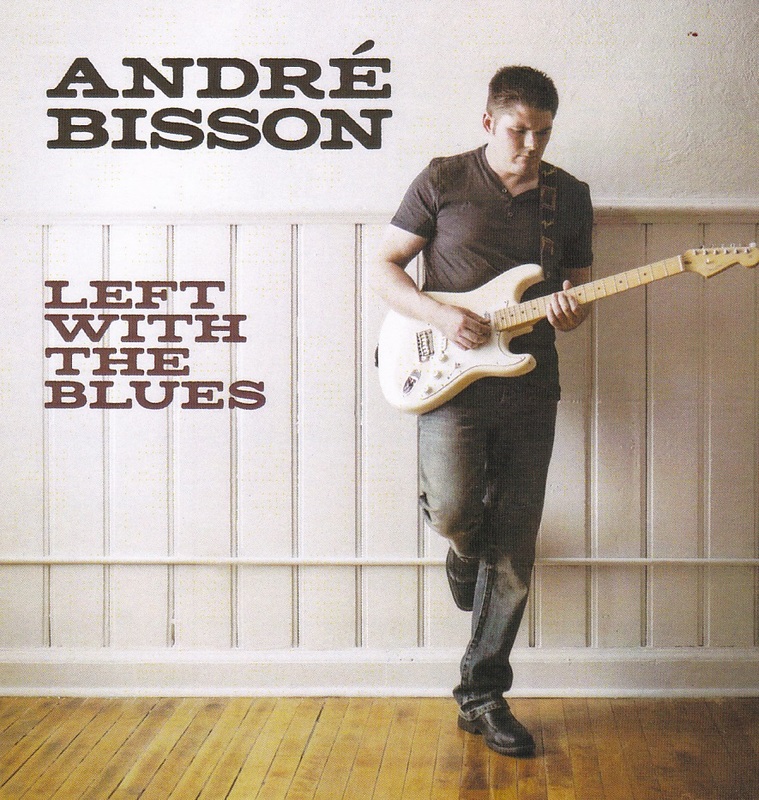 Not so well known here but a fixture of the Hamilton blues/R&B scene, André Bisson, who just won the Male Vocalist of the Year at the Hamilton Blues Awards, has an impressive sixth disc for us. Left With The Blues is also a hugely ambitious effort, with a large cast to augment the basic five-piece band. And once again this young man has come up with some excellent songs as a strong foundation. “Left With The Blues” is the opener with all the forces present, beautifully arranged & recorded. It’s a slow blues with three more horns augmenting Bill Holinaty’s tenor & Loretta Hale’s cello. There are keyboards and backup vocalists but Bisson’s tale of a love gone bad is front & centre. He could have won that award on this song alone. “Borrowed Time” rocks out with Bisson’s guitar as the featured instrument with all those horns riffing away. Jerome Godboo’s harp is featured on “Deepest Kind of Mean,” about a sweet talking woman who isn’t what she appears to be. The one non-original is a very good version of “Crosscut Saw”. “Brand New Day” adds even more vocalists for a gospel rave up and a fine way to end the disc. The other songs showcase his facility with a wide variety of R&B styles on this excellent disc. Jesse O’Brien on keys is perhaps the only name in this stellar cast you might recognize, an indication, I think, of the Hamilton’s vibrant music scene. All of his albums now stream at www.andrebisson.ca.